The wool watch cap has its roots in military history. These prolific beanies made their claim to fame via the US Navy who popularized the style. 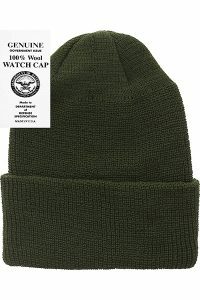 Designed to promote warmth on long naval shifts, the best wool watch caps are water-resistant, soft, and comfortable. 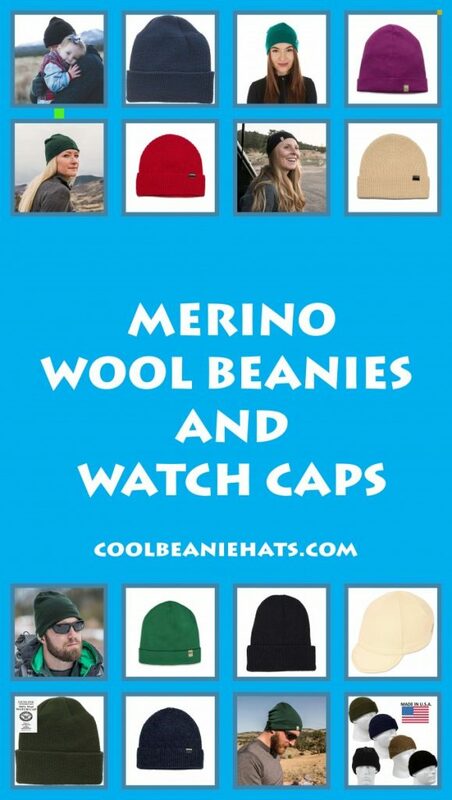 To find the perfect merino watch cap, some basics about the style and fabric makes shopping easy. These facts shed light on any watch cap confusion or merino mysteries. Made of wool for weather resistance. Usually cuffed above the ears. Introduced to Australia in 1797 and first exported in 1807. Over 50% of the world’s merino wool is sourced from Australia according to their Government website. Natural fiber (prone to shrinking when machine washed). 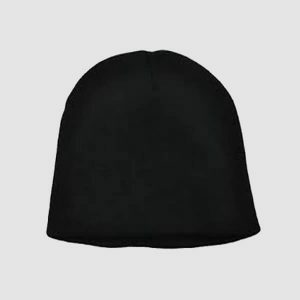 Since watch caps and beanies share most of their properties in common, the difference between the two is merely semantics. Colloquialisms vary for these globally popular hats. 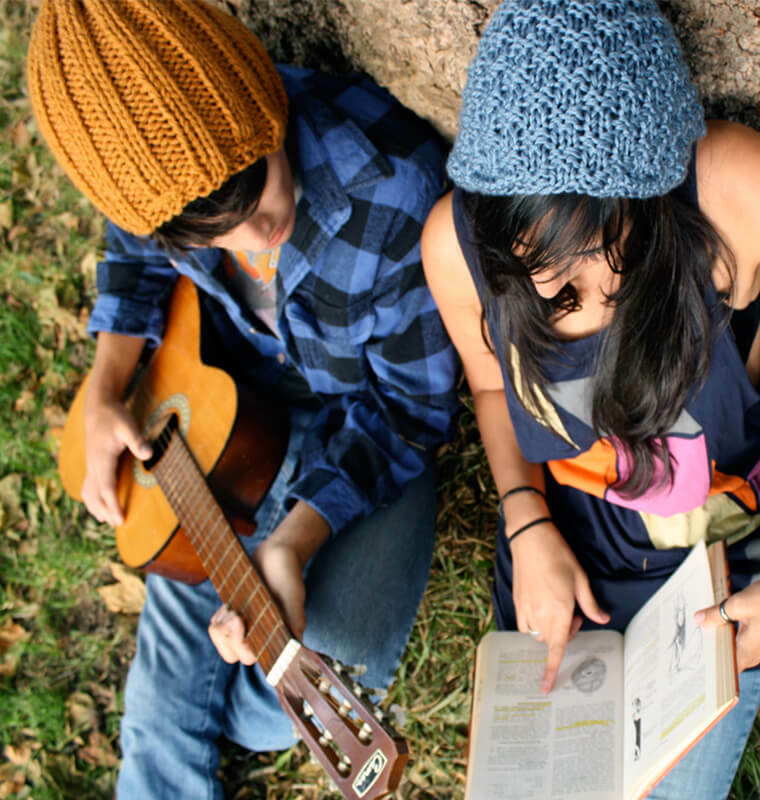 From toques to balaclavas, beanies go by many names. 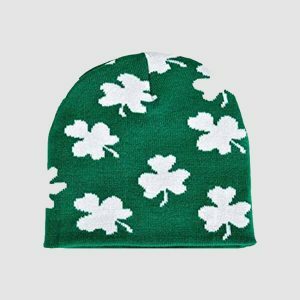 All over the world, particularly in areas subject to strong weather and cold conditions, there is a form of a beanie. 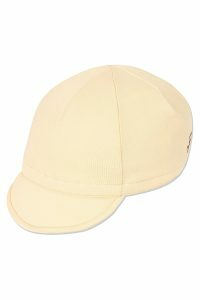 The watch cap itself is a reference to a specific purpose of hat, it being used outdoors for extended periods of time. Any accessory that is prevalent for centuries is bound to have a number of skews and adaptations. 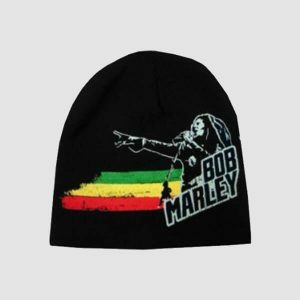 The watch cap vs beanie division is a perfect example of this product’s evolution. 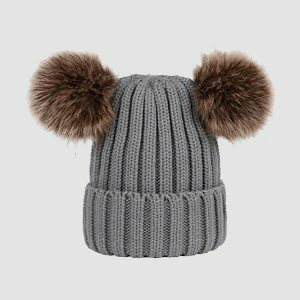 Using the softness of merino wool, and the tight-knit style of the watch cap, makes these six options the ultimate cool beanie hats, regardless of what name they go by. A distinctly unique seamless style sets this merino wool cap apart. The expected woolen ridges give way to a smooth, panel-like design. 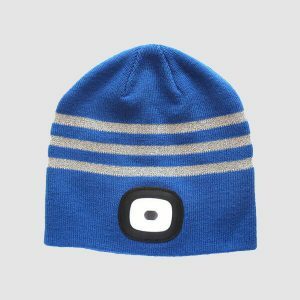 Still, this cool beanie is made entirely of high-quality merino wool. The forest green color is a throwback to the traditional, dark colors expected from the woolen watch cap. Since these were originally used on watch, while on duty, the quiet color provided camouflage and safety. 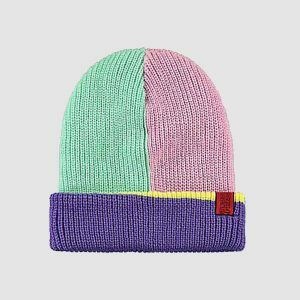 This beanie is a perfect reference to the original wool watch caps. 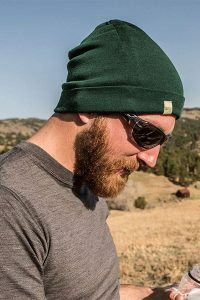 The tight stitching adds to the smooth look of this beanie, making it ideal for outdoor situations. Benefiting from the lightweight and water-repelling nature of wool, this beanie boasts double layers that offer an extra feature of comfort and warmth. 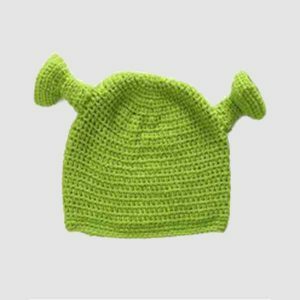 The additional layer fosters durability, making this hat good for work, or other labor-intensive situations. 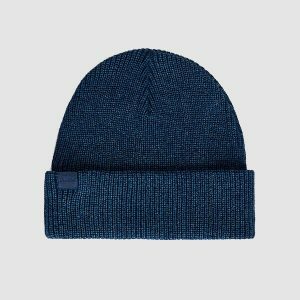 This wool watch cap made in the USA uses a military style that references the long-known watch cap. The merino wall material and conventional style are amplified by the noticeable cuff. Cuffed above the ears, this wool cap is a perfect model of the long-favored watch cap. The stretchy nature of naturally sourced fibers makes this wool cap a comfortable fit for all sizes. 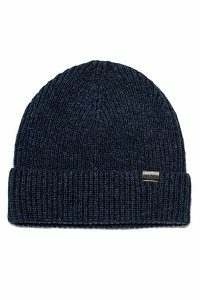 Adding in the draws of merino wool, including its famous softness, this beanie is a modern watch cap frontrunner. According to the United States’ Census data, the goods and services deficit in America has seen a reduction of over forty billion dollars. 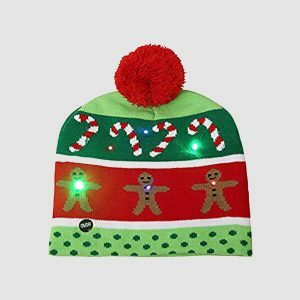 This is in large part due to domestic manufacturing of products, with this cool beanie hat being a perfect example. Highlighted in this beanie are the best virtues of merino wool. The breathable comfort of this lightweight beanie makes it the perfect companion for long outdoor excursions. Thickly ribbed, this hat reaps the most benefit through the heat holding ridges. The cuff makes the wear adjustable, so the fit can be maneuverable for any situation. In cold situations, the thick cuff provides an optional ear cover. In keeping with the traditional watch cap, the cuff can be generally worn above the ear line. Dark colors tie together the look, making it the picture-perfect model of the watch cap, while still benefiting from the perks of merino wool. 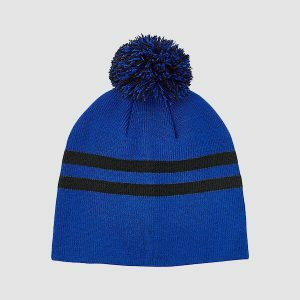 While the watch cap is popular, the merino wool cap can take many forms. Using a visor, this wool cap emulates the cap features recognized in modern American culture. The light color and firm form set this wool cap apart from the rest. The merino wool keeps the softness of the wear, as well as the water repelling benefits. For those looking for a more forward style, while still desiring smooth, breathable wool material, this is the perfect interpretation of the merino wool cap. 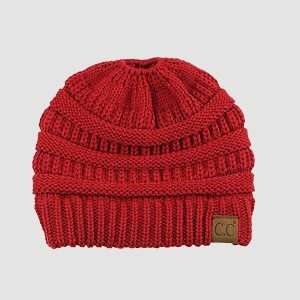 Cool beanies gain their status through a blend of simplicity and boldness. 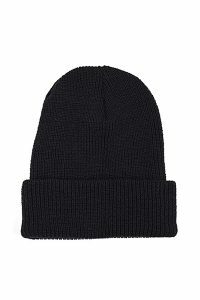 The basic black wool beanie indulges in the sleek benefits of plain style. 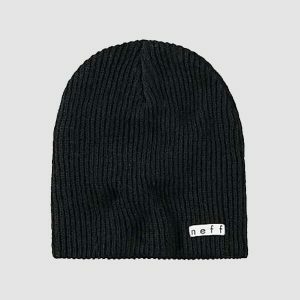 Keeping with the long-favored look of the watch cap, this warm woolen beanie is a quietly stylish option. The muted color allows it to fit in any situation and provides gender-neutral wear. 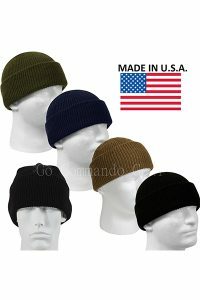 Made in the United States of America, this durable build beanie is machine washable for easy maintenance. Watch caps have an iconic cuff, and this merino wool cap holds up that standard. The cuff provides a firmness of fit and adjustability that has made this style popular for centuries. Many happy customers have kept this genuine military watch cap in the spotlight. The well-reviewed item boasts a distinctly large cuff. The thick cuff adds bulk, making this a heavier model, best for situations requiring layers. This hat is ideal for outdoor situations, being designed with the military in mind. The fit is geared such that the hat is wearable by any age or size. 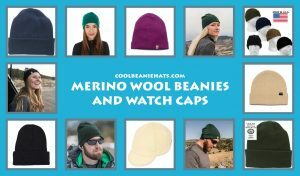 The best merino wool watch caps combine this eco-friendly fabric with the iconic style of the watch cap. Through the coupling of these features, these beanies highlight the best of the long-favored watch cap. Many who are American proud use their shopping as a way of supporting their desired economy. 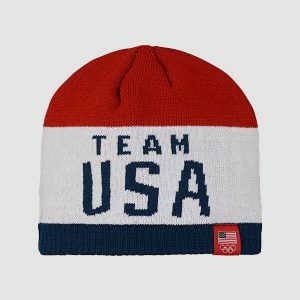 For those looking to make a domestic difference, these six beanies showcase reliable and creative American manufacturing.